Qatar Chamber of Commerce and Industry (QCCI ) on Wednesday hosted a meeting between a number of Qatari businessmen and private sector officials and representatives of tweleve Italian companies currently visiting Doha. During the meeting , the two sides discussed investment opportunities available at the various mammoth development projects being implemented in Qatar, as well as bilateral partnership opportunities and areas of cooperation available. In his speech, Mohammed bin Mahdi Al Ahbabi, the QCCI Board Member stressed the chamber’s keenness to enhance ties of the strong economic cooperation between Qatar and Italy, and to develop ways and mechanisms for improving these relations with other regional and international chambers of commerce, including the Arab-Italian Chamber of Commerce. He pointed to the growing of joint investment projects, trade exchange and contributions that are expected to supply the contributions for promoting such exchanges between the business community in particular, and developing the areas of bilateral economic cooperation in general. Al Ahbabi said that the atmosphere in Qatar is ripe and the doors are open to attract Italian investors and businessmen based on the privileges and facilities abound in Qatar including the infrastructure of modern facilities and high quality services that encourage investment and trade exchange with various countries around the world. 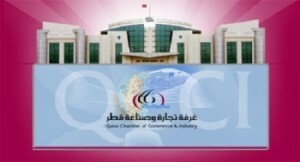 The QCCI board member meantime emphasized that the chamber is ready to provide services and facilities that enable the business to benefit from the successful experiences in Italy, praising in this context the recent launching of the Italian Chamber of Commerce in Qatar and which was formed on part of the Italian Ministry of Economic Development to represent the Italian Chambers of Commerce in Qatar. For his part, Mr. Nicholas Castelli, the Regional Director for the Arab-Italian Chamber of Commerce said that the Italian delegation’s current visit to Doha falls within the framework of an action plan by the Arab-Italian Chamber for developing cooperation existing between Qatar and Italy. He also expressed his happiness for meeting with Qatar’s private sector representatives, and the Italian Chamber’s hope to launch joint investment projects that enhance the Italian presence in the Qatari market.